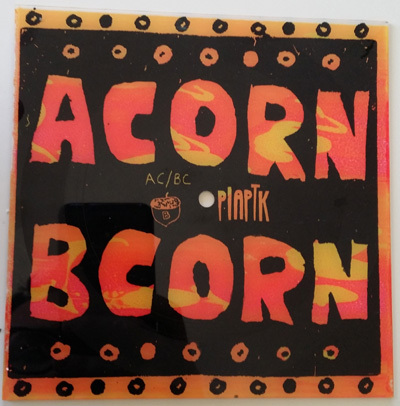 The first week of October, 2013, Four bands from Tucson, Andrew Collberg, Acorn Bcorn, The Pork Torta, and Otherly Love, embarked on a 2 week tour of France. 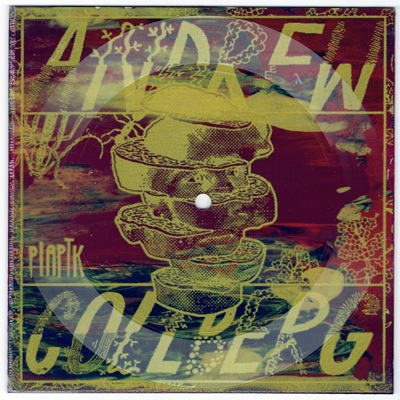 PIAPTK made them (and Golden Boots and Fur Family, whose members were touring with Andrew Collberg) some tour merch in the form of silkscreened 7" lathe cuts. Each one has a single color image with a fountain fill (multiple color gradient) making up the background. Every record is a little bit different. There were 75 of each made (100 of Golden Boots' first single from their upcoming untitled album, Traveling Strange), and the bands took 50 to France. Therefore, there are only 25 of each available in the US. 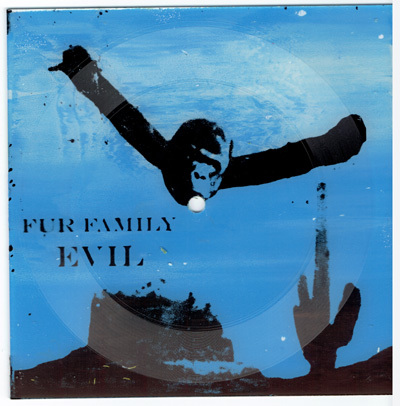 Each record comes with a download of ALL 6 songs in the series. 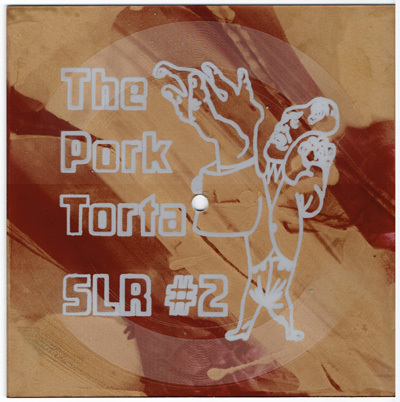 Ltd ed of 75 each on silkscreened lathe cuts. 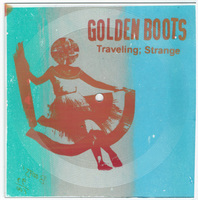 Golden Boots - Traveling Strange ltd ed of 100 on silkscreened lathe cuts.